At the Jane Goodall Institute’s Tchimpounga Chimpanzee Sanctuary in the Republic of Congo, more than 150 chimpanzees roam the tropical plains and islands that make up their new home, orphaned as a result of hunting and the exotic pet trade. These chimps, who are free to navigate their rain forest environment in the large social groups that come naturally to them, are the closest to wild chimpanzees that most psychological scientists are likely to get, said Alexandra Rosati, a professor of psychology and anthropology at the University of Michigan. 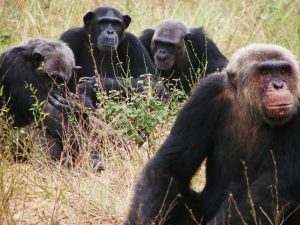 In a study examining helping, donation, and punishment in 40 of these free-range chimps, published in Psychological Science, Rosati and colleagues found that chimpanzees were often faster to cooperate than to behave selfishly. These findings align with modern theories of human cooperation, suggesting that some kinds of prosociality may be automatic and do not require individuals to overcome the desire to be selfish, as has historically been believed, she explained. In the instrumental-helping task, apes engaged with a scenario in which one experimenter threw another researcher’s stick into chimpanzee’s dormitory while the ape was alone. The researcher then reached for the stick, making effortful vocalizations and later calling the chimpanzee’s name in an attempt to recruit the chimpanzee’s help in handing over the object within a period of 1 minute. On average, the chimpanzees, who received no reward for cooperating, chose to hand the out-of-reach object to the researcher just over 50% of the time — but the rate of cooperation varied significantly among the individuals, with some helping in all 10 trials and others not at all. Chimps who chose to help more often also chose to help more quickly, supporting the conclusion that more cooperative individuals tend to make decisions faster than more selfish individuals do, the authors wrote. When they had an opportunity to punish a thief who stole food from them, the chimps often chose to collapse the experimenter’s table to prevent the thief from consuming the ill-gotten treats. 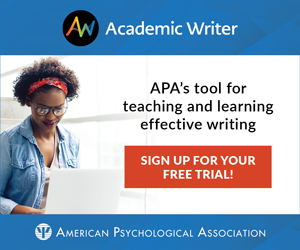 Over the course of 10 trials, individuals who punished more often were found to punish more quickly, in line with the findings from the helping task. As with the helping task, the chimpanzees who punished the most frequently did so more quickly. Importantly, prior work shows that chimpanzees do not punish indiscriminately, Rosati noted. Although the aggrieved chimps often pulled out the table’s false leg when their food was stolen by the thief, they were less likely to do so if the experimenter moved the food—so the ‘thief’ was not really at fault. The apes showed relatively little interest, on the other hand, in donating resources to others, Rosati said. When presented with two sets of plates, one that contained a snack for both the chimpanzee and a familiar caretaker and another that had a treat only for the chimp, the apes were basically indifferent to whether the experimenter got something to eat. Yet chimpanzees still chose to “donate” food by choosing the prosocial option more quickly than they chose the selfish option. Taken together, these findings suggest that although there is individual variation among chimps, they do show some natural inclination toward cooperation — but the kinds of tasks that chimpanzees cooperate on don’t appear to follow a particular pattern. In adult humans, Rosati explained, helping and sharing behaviors are positively linked, whereas these behaviors don’t appear to be related in chimpanzees. Furthermore, Rosati and colleagues found that chimpanzees’ responses to tasks measuring delay of gratification and self-control were not correlated with prosocial responses. This suggests that cooperative behavior among chimpanzees may have more to do with the intrinsic value that apes assign to prosocial actions, as has recently been proposed to be the case in humans. Rosati’s work aims to cast a light on the evolutionary roots of cooperation in humans by studying these same behaviors in one of our closest primate relations. Much like humans, chimpanzees have been shown to help others in need and punish theft, and are known to engage in sophisticated group hunting behavior and boundary patrols in the wild. A fast prosocial bias is most likely to have evolved in an environment where cooperation is a highly successful strategy, the authors wrote.